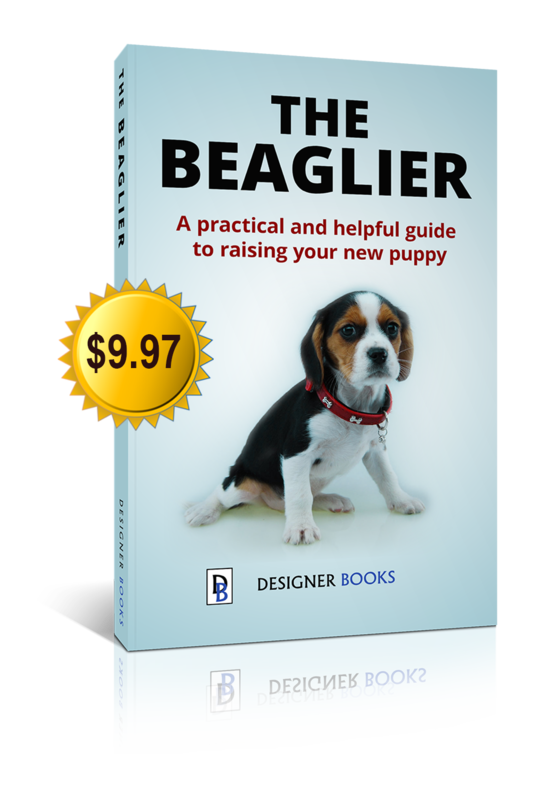 When it comes to bringing a new Beaglier puppy into your life, you want to be sure you are choosing a puppy from a reputable source. After all, the new puppy will grow up to be an adult that will not only share your home, but will also be part of your family. There are a myriad of questions that may go through your mind and let’s face it, buying a puppy is not something you do very frequently. First and foremost, you want to make sure that a puppy from any litter you are considering has had at least a basic check by a veterinarian and deemed to be healthy. The second box to tick is to ensure that the puppy has been vaccinated against 3 fatal diseases; Canine Distemper, Canine Hepatitis and most importantly of all Canine Parvovirus. Both of these requirements can be checked with a certificate of vaccination from a registered veterinarian. A vaccination card will have the details of what the puppy has been given and on what date as well as the veterinarian who examined the dog. Worming is another box to tick before buying a Beaglier puppy. Just being told that the dog has been wormed is not really good enough. Worming is usually carried out by the breeder at 2 week intervals during a young puppy’s life so the seller should have a list of dates for you of what day the dog was wormed. Signs of a puppy not wormed to look out for include a flat, dull coat and puppy that is thin but has a large pot belly. A breeder serious about the ongoing care of the puppy they are selling will ensure that the dog has been microchipped. This is where the dog is implanted with a tiny microchip (about the size of a grain of rice) under the skin. The microchip has the 15 digit number that identifies the dog and lets authorities know who owns the dog should it become lost. This is the quickest and surest way to ensure that the dog can always be reunited with its owner. Make sure the Beaglier puppies for sale are microchipped before you take your puppy home. Any reputable breeder will want to stand by the health of the puppies they produce and Beaglier breeders are no exception to this. All reputable and responsible breeders will offer some sort of health guarantee with their pups. The guarantee will vary from breeder to breeder but usually it will be for at least a week for non-contagious conditions. Certain contagious diseases such as gastroenteritis and Parvovirus will normally have shorter guarantee lengths as the incubation periods are only 1 and 2 days respectively. It is vital that you follow the instructions and requirements of the health guarantee offered with your puppy. These conditions are there to protect you and your puppy and will usually include things like the diet of the puppy and length of time to keep your new puppy away from other dogs. What do the best Beaglier breeders do? Although the good breeders will provide the basic items listed above, the best Beaglier breeders will go the extra mile to ensure that their dogs are the best they can be. The best breeders will undertake genetic testing of the parent dogs in their breeding program for conditions such as Progressive Retinal Atrophy (PRA). This genetic testing is also a great sign that the breeder has carefully considered which dogs they choose to include in their breeding program and not just any dog. The best breeders are proud of the pups they breed and have bred over the years. They will always have a list of people who have sent in photos and given feedback on the dogs they have taken into their homes and made part of their families. They will also extend the length of the health guarantee they offer as they have full confidence in the dogs they breed. The best breeders also know that taking a puppy home is a stressful time for both the puppy of course, but also the new owner. Being able to contact the seller of a puppy is vital if anything goes wrong, or even just to get reassurance that the puppy is settling in well in their new home. Do your best to find out if the seller is going to be around to answer your question down the track should you need them. Unfortunately, a seller that is hard to reach and takes a long time to get back to you before you buy your puppy will likely to be even less likely to get back to you once you have paid for the dog. Chevromist Kennels far exceed all the requirements for the minimum and best breeder as has been outlined above. They exceed these standards in a number of ways including guaranteeing their pups with a 4 month health guarantee and providing a level of help with all aspects of adopting a Beaglier puppy that goes far beyond what would be expected. All new owners are supplied with a comprehensive information booklet to get them ready for the arrival and first few weeks of their new puppy as well as ongoing information along the way during the first year. They are also available to answer ongoing questions at any stage of the dog’s life. Chevromist Kennels only work with and represent other professional breeders who would fall into the best breeder category and have done so for many years, building up a wealth of information about this wonderful breed. Beaglier puppies homed by Chevromist Kennels also come from parents where at least one of the parents will be DNA tested for PRA to ensure the Beaglier puppy will be free from this debilitating disease. Add to this the constant stream of happy new owners of Beagliers on their website and social media makes Chevromist Kennels our preferred option for Beaglier puppies.